Soft silky and sumptuous, this gorgeous organic cotton single duvet cover has a subtle stripe and lovely sheen, making a truly special addition to this organic bedding range. Duvet covers fasten with tagua nut buttons. 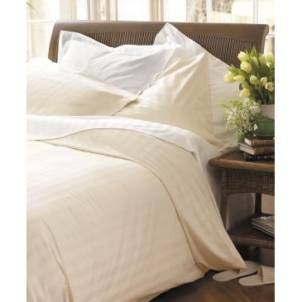 The Ecru Single Duvet Cover product ethics are indicated below. To learn more about these product ethics and to see related products, follow the links below. There are currently no questions to display about Ecru Single Duvet Cover.